False pretenses is a theft crime but carried out through deception. Often times, this charge is burdensome and challenging for law enforcement and prosecutors to prove. If police officers are attempting to question someone in connection with theft by false pretenses, it’s important not to say anything and demand the presence of an attorney. Because theft crimes are challenging to prove, police officers almost always seek to question someone in effort to gain a confession and build a stronger case against them. 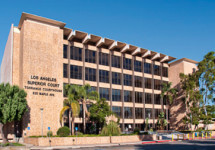 Los Angeles Criminal Defense Lawyer John Rogers is committed to providing each client aggressively, affordable, and trusted legal representation. Whether you’re charged with a minor offense or a serious felony, Mr. Rogers makes himself available 24 hours a day, 7 days a week and works tirelessly to achieve the best possible result for each client. The best approach to defeating theft charges is early criminal defense attorney intervention, contact Mr. Rogers immediately. In California, a conviction for theft by false pretenses is eligible to be expunged so long as certain requirements have been fulfilled. Expunging your record is governed under California P.C. 1203.4 where your finding of guilt is set aside the conviction is dismissed. Contact Los Angeles Criminal Defense Attorney John Rogers for more information regarding your eligibility and process to expunge your criminal record. If you or a loved one has been arrested, charged, or is under investigation for false pretenses, contact Los Angeles Criminal Defense & Theft Attorney John Rogers at the Law Offices of John D. Rogers located at 1801 Century Park East, 24th Floor, Los Angeles, CA 90067. Call 877-888-9820 now for a free confidential consultation concerning your rights and defenses.